Megan is back, this time showing us her Kentucky Derby style! I love any chance to get a glimpse of her bar cart. And as a special treat, tomorrow she'll share her mint julep recipe with us. Cheers! Megan: Nothing marks the official start of spring celebrations for me like the Kentucky Derby. By the first Saturday in May, it's finally warm enough to put on a sundress, and after the winter we've endured on the East Coast, we've earned a sweet and boozy drink. 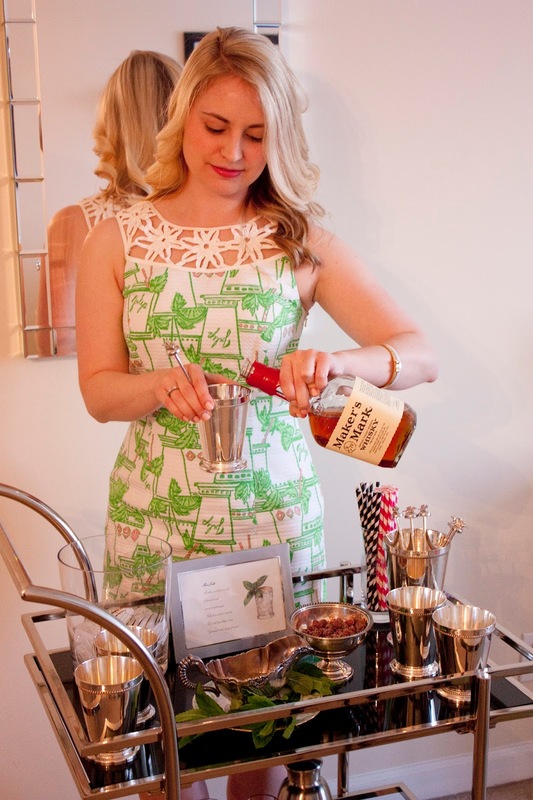 Every year I host a Derby Party at my home where I prepare a Southern spread of pulled pork sliders and deviled eggs, prep my bar cart for mint juleps, and gather all my friends for the most exciting two minutes in sports. That's exactly why I think the Derby lends itself so well to a party: it's a bite-sized sporting event that's just long enough to get the adrenaline up but - unlike the Super Bowl - not so long that it dominates the entire party. 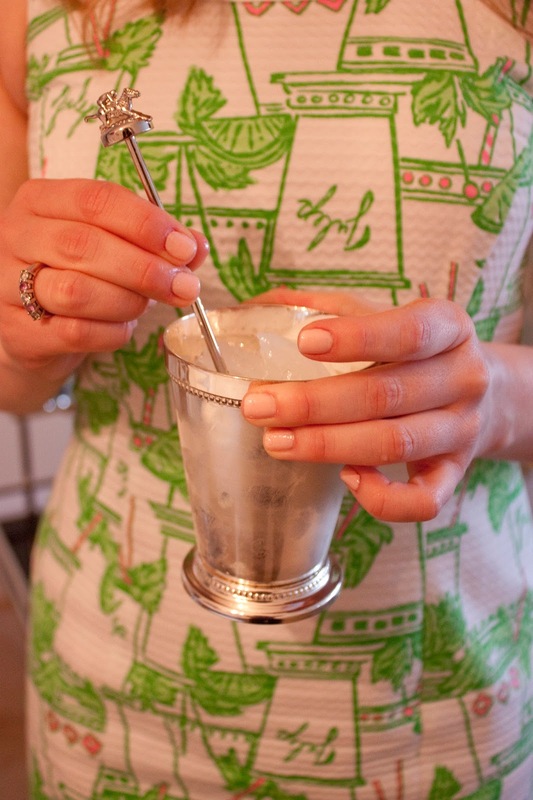 And I love an event that comes with its own signature cocktail - I found these adorable jockey stirrers, and I've been collecting silver julep cups for years. A sporting event where the attendees parade around in fancy hats, the contestants wear different outfits in bright colors and bold patterns, and the winner is showered with roses is a sporting event after my own heart. 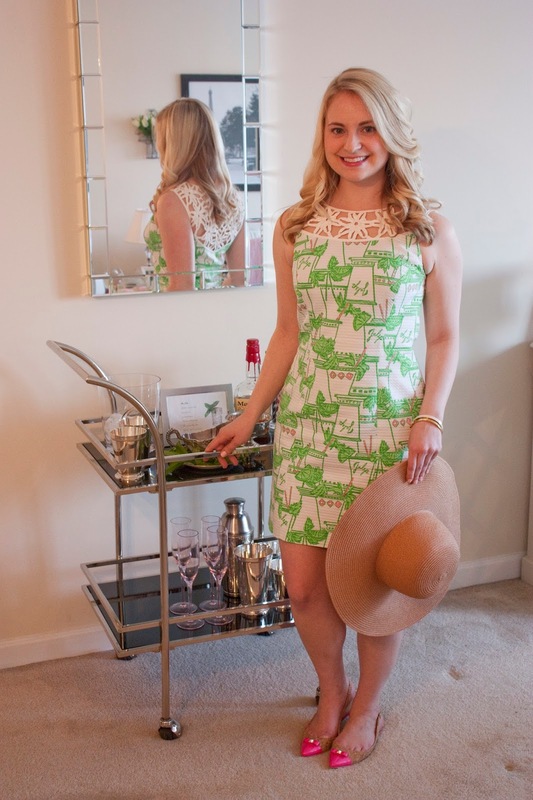 Megan: This dress has become my traditional Derby Day dress because what could be more fitting for the occasion than a sundress with a julep print? 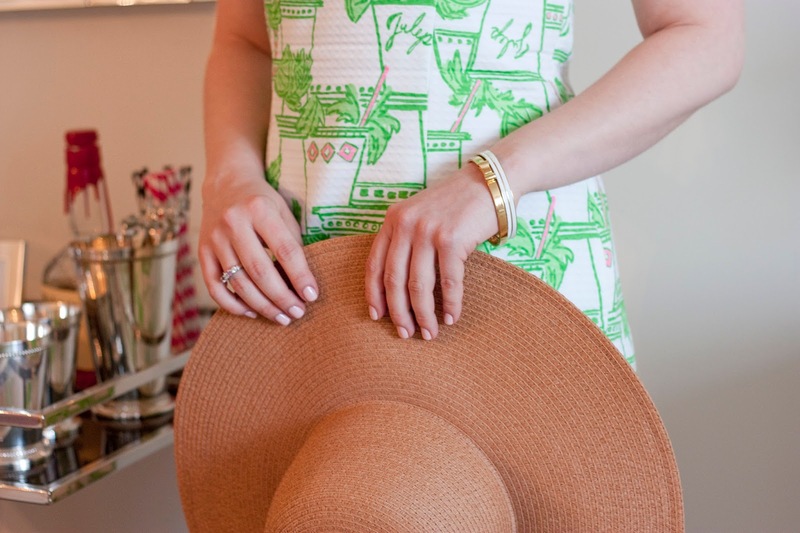 A pair of pink patent and cork flats keeps the look polished but practical as I tend to my hostessing duties, and, come race time, I put on my straw hat and cheer on the ponies, julep in hand.